As a kid, I watched absurd amounts of DuckTales. In fact, I can’t think of a single cartoon I’ve spent more time with. 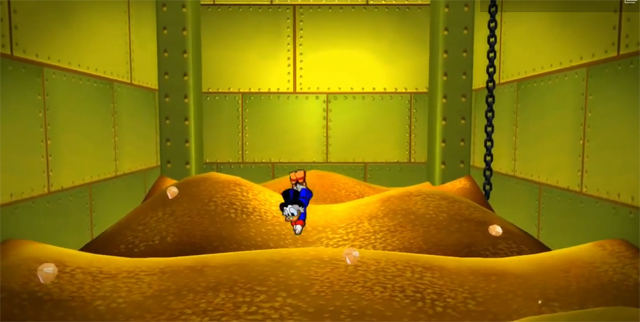 Obviously, a huge part of the magic of DuckTales is seeing Scrooge McDuck swim through the piles of gold coins in his money bin. As impossible as that would be in actuality, it’s something I’ve always wanted to do. 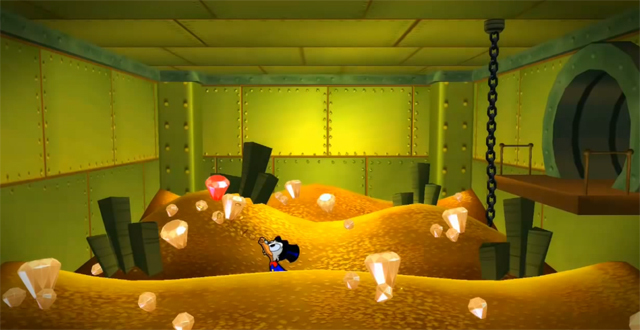 Capcom’s DuckTales Remastered finally makes that dream come true, at least in some small way. See, the game gives you the (completely optional) ability to step into the spats of Scrooge McDuck and take a swim in all that shiny money. It’s handled quite well, too. The controls feel perfect, and that’s a phrase I never expected to type in relation to what’s essentially nothing more than a money-swimming minigame. As you play through the game and discover more treasure, you’ll see that treasure appear in the money bin. Eventually, you’ll even fill the bin with money. All of this works together to hammer home the idea that the things you do in the rest of the game actually affect the money bin. And that’s really cool. The HD sprites are fantastic to look at, and seeing Scrooge’s feet wiggle as he dives is the icing on the cake. Sure, it’s completely inconsequential (unless you want to score 100% Trophy/Achievement completion), but the very fact that the money bin minigame exists — and that it’s handled so well — brings endless amounts of joy to my heart. It’s a small thing, but in DuckTales Remastered, it’s the small things that add up to make one grand revisit to the era in which DuckTales was the king of our TVs.